Click on Calendar in the top menu. Click on the event on the calendar. 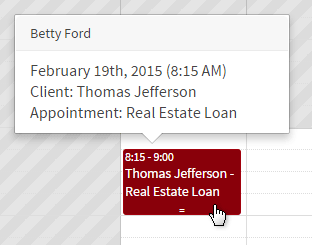 Appointments can also be modified from the Reports & Data, Clients, or Dashboard sections. If editing the event, make changes in the Details section, and click Save. If deleting the event, click in the upper right corner of the window. 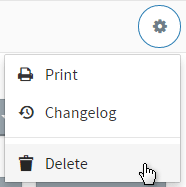 Then, select Delete from the menu that opens.